Trainer Phillip Stokes registered a Tavistock double at Pakenham last night. 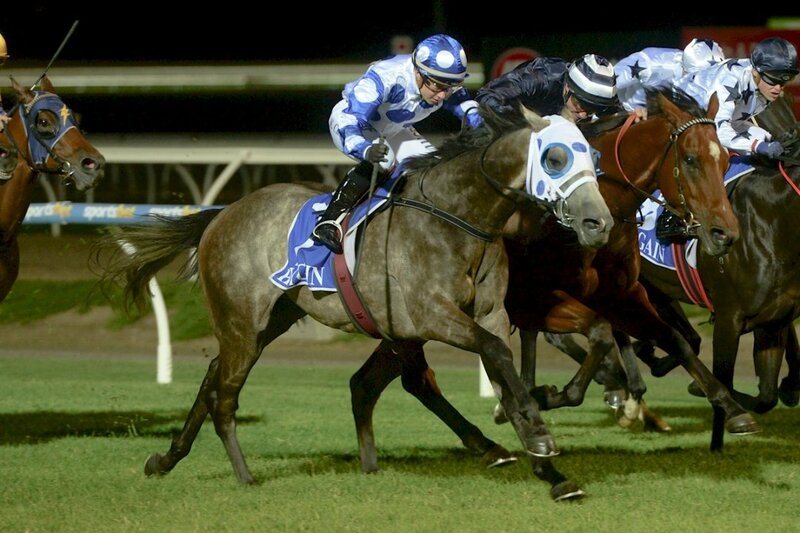 Tavistock’s 3YO son Caorunn City got the ball rolling, winning at career start number three by a head margin. Two races later, it was the turn of Camp View (pictured right) to be in the spotlight, this time courtesy of a smart 2.5 length win. “I’m very happy with the Tavistocks,” Stokes told Cambridge Stud this morning. Both of Stokes' Pakenham standouts were graduates of the 2017 NZB Premier Yearling Sale, and were both purchased by subsequent part-owners Wylie Dalziel and Peter Moody. Bred by Dr Gene Tsoi, Camp View is the winner of two from seven and has been consistently in the money with four additional placings to his name. Where Camp View will concentrate on shorter trips ahead, Stokes is confident the High Trees Park-bred 3YO Caorunn City will benefit from more ground. “He will be better over ground and is likely to step up over a mile at Pakenham at his next start,” he said.